The NuWave convection oven is a table or counter-top appliance that can help save energy and does not heat up the house the way a conventional oven does. 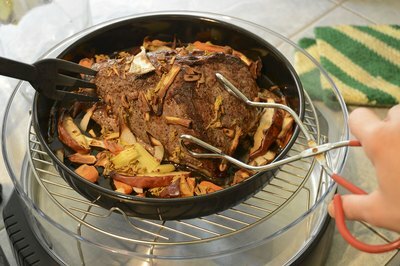 A beef roast can be cooked in the NuWave oven easily, leaving you plenty of time to cook the remainder of the meal. With the NuWave, you no longer have to brown the roast before cooking for that oven-roasted appearance. 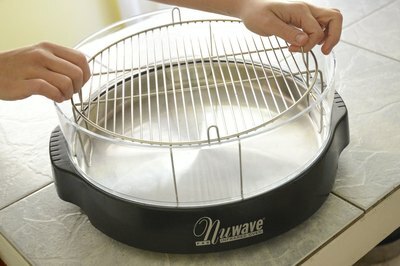 Assemble the NuWave oven by placing the liner inside the base. Place the cooking rack into the liner. 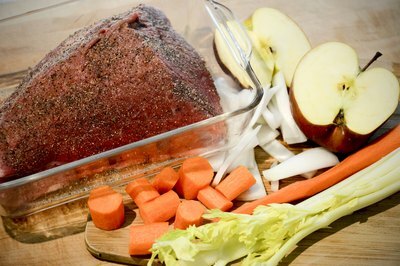 Trim visible fat from the beef roast and season with your choice of seasonings, such as salt and pepper. Place the roast on the cooking rack, centering it so that the roast does not touch the sides of the oven and air can flow around the roast during cooking. Place the dome over the base and liner. 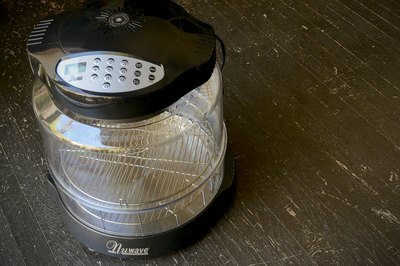 Place the power head on the NuWave oven dome and lock into place by twisting counterclockwise. Plug the unit into a wall outlet. Set the cooking level to "9." Set the cooking time to 40 minutes for a 3 lb. roast and one hour for a 4 lb. roast. Press the "Start" button. Remove the dome and turn the meat over using a kitchen fork. Replace the dome and cook for an additional 25 minutes for a medium-rare roast. For a medium roast cook for an additional 40 minutes after turning. A well done roast will need an additional 50 minutes after you turn the roast over. If the roast you are cooking includes the bone, you will have to increase the initial cooking time from 20 minutes per pound to 25. 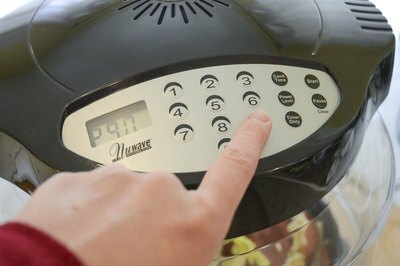 The maximum cooking time on a NuWave oven is one hour. You will need to reset the cooking timer for roasting foods that require a longer baking time. 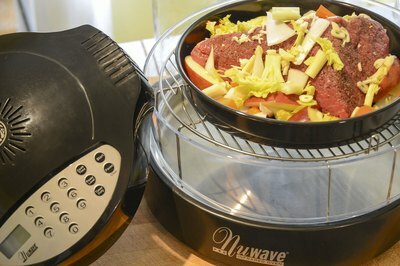 All parts of the NuWave oven, except for the power head, are dishwasher safe. If you want to bake potatoes along with the roast, add them when the roast has approximately 45 minutes left to cook.